Dumplings are delicious, everybody loves dumplings, the whole world over, and every culture seems to have its own take on these little morsels of yumminess. Parcels of dough, often (but not always) filled with something tasty are firm favourites everywhere. 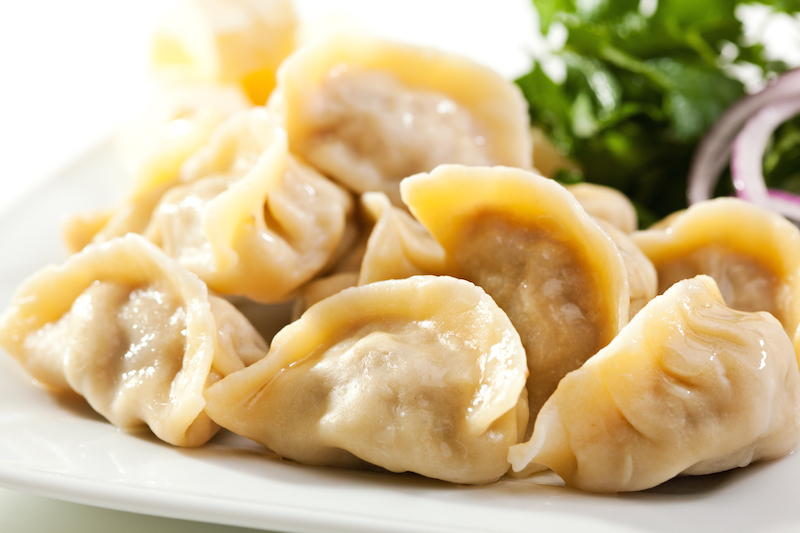 There are Japanese gyoza, Chinese wontons, Polish pierogi, Italian ravioli, Jewish matzah balls, Indian samosas, the list goes on – indeed, the Wikipedia page on dumplings seems endless. British dumplings appear to be very dull compared to some of the the things on this list, but even our little balls of flour and suet are delicious once they’ve puffed up into fluffy balloons as they soak up the juices in a hearty beef stew. Make two different styles of dumpling i.e. from different parts of the world.